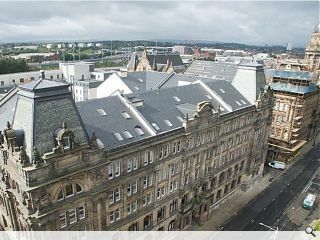 Restoration work has now completed at a B-listed warehouse in Tradeston, used as apartments since 1999, following a programme of essential repairs carried out on behalf of the owners, Speirs Gumley and Glasgow City Council. 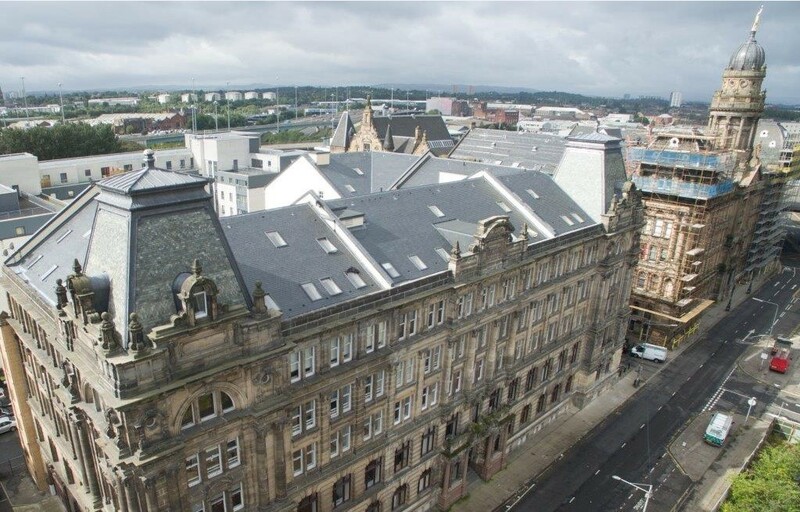 The £1.1m project saw the roof completely replaced together with improvements to an underground car park and stairwells and a refurbishment of the façade. Designed in 1919 by James Ferrigan and completed in 1933 the warehouse sits next to the imposing Co-operative house next to the Kingston Bridge which is now adorned with a replica Light and Life statue. Well done! A gorgeous building, so happy to see it looked after. Another beauty next door to it too.